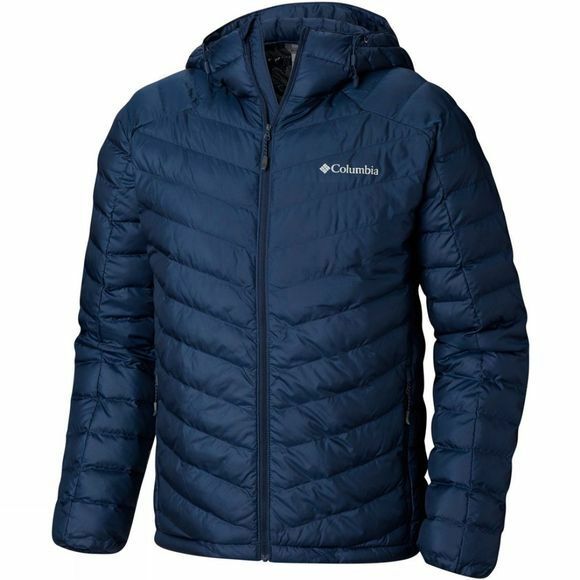 Prepare to hit the trail with the Mens Horizon Explorer Hooded Jacket from Columbia. You'll stand out with the V-Shape of the baffle construction. 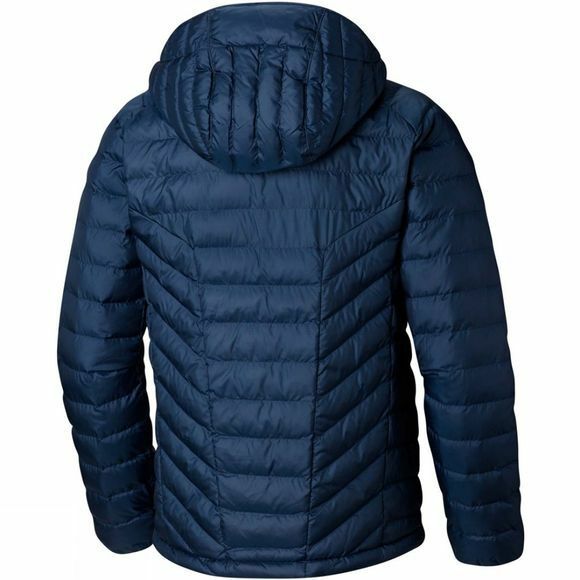 The combination of water-resistant fabric, synthetic down and reflective lining keeps you dry and warm throughout your hike. Store your adventuring essentials in the interior security pocket and tuck your hands into the zippered hand pockets when temperatures dip. The adjustable drawcord hem means you can find the perfect fit for any activity.